Nigerian writer Wole Soyinka, who turns 80 this year, has long inhabited that illustrious pantheon of African literary greats; in 1986 he was awarded the Nobel Prize as an author "who in a wide cultural perspective and with poetic overtones fashions the drama of existence". Whilst his most famous dramatic works may be substantially metaphysical in theme, his current outlook seems more forcefully political. Or perhaps this is a product of what his admirers and questioners most want to talk about: how do we solve the ‘problem(s)’ of Nigeria? And the problem-du-jour in Nigeria is quite clear: the case of the hundreds of school girls kidnapped by the Islamist group Boko Haram from a small town in the country’s north-eastern Borno state. The imaginative #BringBackOurGirls campaign has galvanised a previously ambivalent international community to pay attention to a conflict that was formerly viewed as a parochial ‘Nigerian problem’. One gets the feeling that even in Nigeria the insurgency in its poor northern regions has been viewed as something that could be effectively contained and had little impact on the oil-rich southern states. Soyinka seeks to dispel the notion that ‘Boko Haramism’, as he calls it, is a spontaneous, temporary and isolated problem. As he told an audience at a Royal African Society event last week, “it is a product of decades old political tactics”. He says over the last 20 years, “religion has become mixed with politics to create a toxic brew”. Relations between Christians and Muslims in Nigeria have deteriorated as politicians sought grassroots support to buttress their own power. “When the first northern governor declared his state theocratic we should have said ‘No!…but the President, seeking an unconstitutional third term, needed votes from the north,” said Soyinka. But whilst Boko Haram may have its origins within the ‘Almajiri’ foot soldiers of northern politicians, something then happened that they did not expect. The foot soldiers turned on their alleged political mentors, forming the wild and uncontrolled movement we see today. The insurgency has now grown beyond the capacity of the Nigerian state to control. 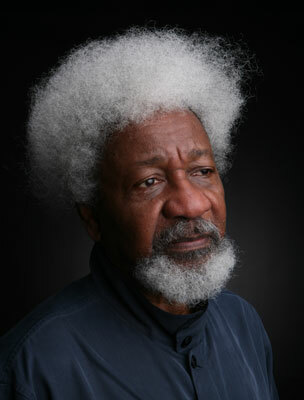 The government and army “cannot handle it” and perhaps, should not even be expected to, says Soyinka. It is “the responsibility of the global community, a crime against humanity has been committed,” he said.